Pay-per-click is a marketing must in our world of digital advertising. You only pay when an interested person clicks the ad, you control the budget, and your results are easy to track. It’s a bandwagon definitely worth riding and including in your marketing campaign. 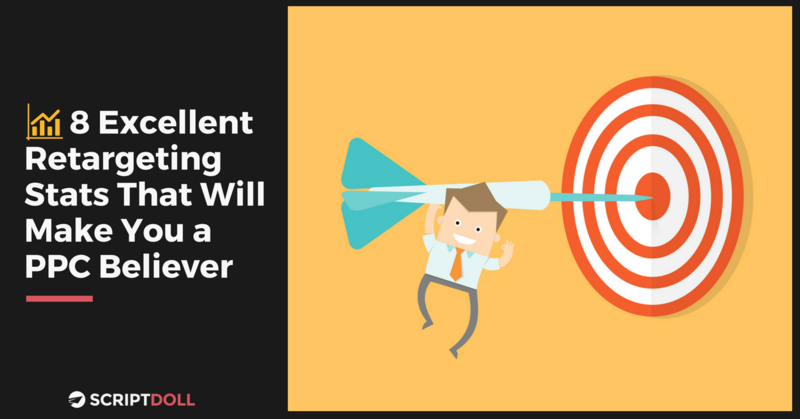 But, when thinking about incorporating retargeting into your sales strategy, how many of your hard-earned dollars do you plan on using towards it? If you’re not careful, you can let those precious prospects get away! That said, you have to take the next step and give proper attention to retargeting. When using a retargeting ad to reel in an interested customer who has visited your website, you should remind them of what they were looking at before they left. After all, they were already considering the offer. And, you can help bring that original interest back to the forefront of their mind. Most customers don’t buy on their very first visit to your site. Many are there to research your offer first. It can even take up to nine visits to your site before deciding to buy according to digitalstrategyconsulting.com. If you’ve been using PPC as part of your advertising efforts for your product or service, but haven’t been retargeting, then you aren’t getting the best bang for your PPC buck. There are many tools out there to help you. Popular services include Google AdWords, AdRoll, ReTargeter, Facebook ReTargeter with Custom Audiences, and Twitter. And, to help create winning copy for your ad, look no further than ScriptDoll. All you need to do to get your hands on it is enter your email address in the pop-up box. It will help you navigate the murky waters of Facebook ads and how to squeeze the most success out of your campaign with ad maturing. We want to know: have you noticed an uptick in your conversions through retargeting? Share your results in the comments section below.